Come experience what fresh tastes like! 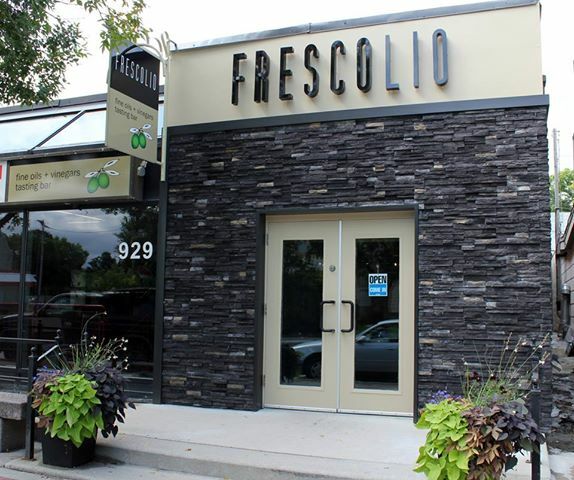 FRESCOLIO’s three Winnipeg locations feature a wide selection of gourmet extra-virgin olive oils and vinegars in a tasting-bar setting. We also carry complementary food and gift items such as sea salts, rubs, jams, pasta, olives, locally handmade ceramic oil bottles and cheese boards. There is plenty of street parking on this stretch of Corydon Avenue, particularly on the south (east-bound) side of the street. More parking is available on surrounding side streets such as Wentworth or McMillan. There is plenty of parking in our parking lot, which we share with other local businesses. If the lot is full, there is also street parking available on Greendell Avenue or Nicollet Avenue. There is plenty of parking in our parking lot, which we share with other local businesses. There is an adjacent parking lot nearby if the lot is full.